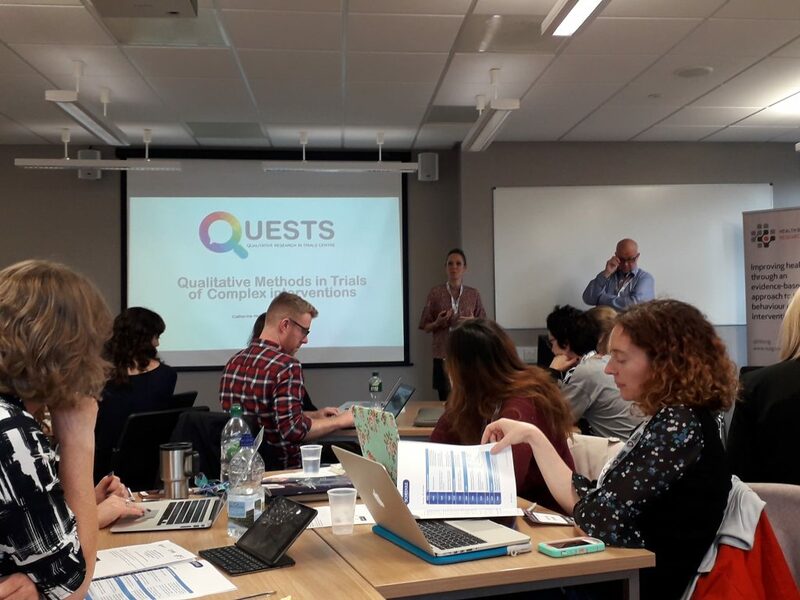 QUESTS Co-Chairs Dr Catherine Houghton and Dr Andrew Hunter facilitated a session on qualitative methods within trials of complex interventions at the highly successful Health Behaviour Change Research Group and HRB-TMRN Winter School: “Developing Best Practice for Conducting Trials of Complex and Behaviour Change Interventions in Health” earlier this week. 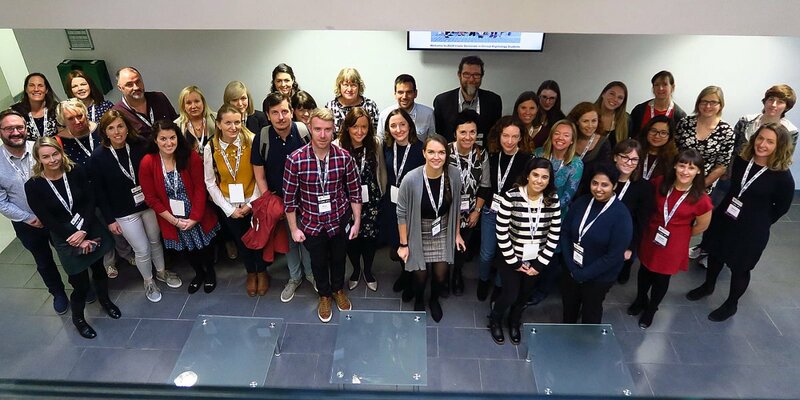 The workshop brought together leading national and international experts from the field of behaviour change and complex intervention research for two days of presentations, workshops and discussion on best research practice. Prof David Richards (Complex Interventions Research Group, University of Exeter Medical School, UK) provided an overview of the MRC Complex Interventions Framework and facilitated a session on pilot and feasibility of complex interventions. Prof Molly Byrne and Dr Jenny McSharry (Health Behaviour Change Research Group, NUI Galway) facilitated an interactive session on developing behaviour change interventions. 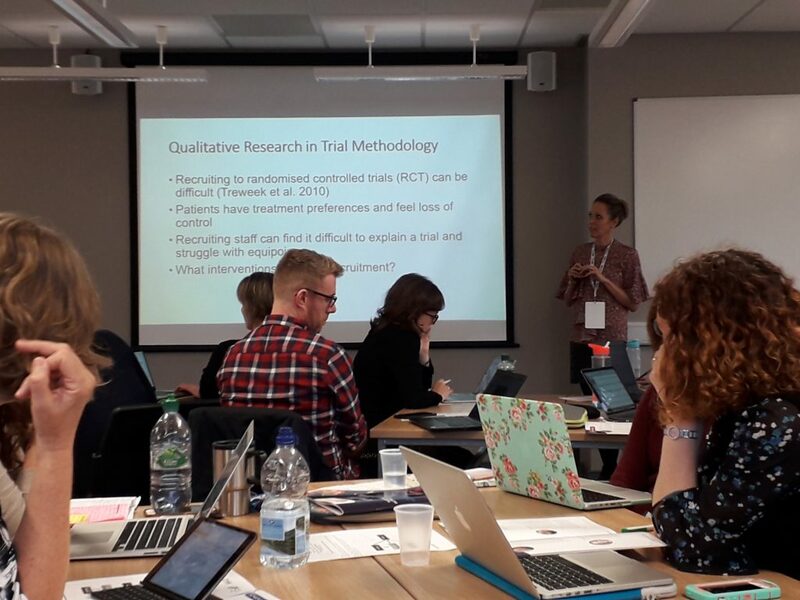 Dr Sara Levati (Nursing, Midwifery and Allied Health Professions Research Unit, Glasgow Caledonian University, Scotland) spoke about optimising interventions in advance of full RCTs. On day 2, Dr Elaine Toomey and Dr Jenny Mc Sharry (Health Behaviour Change Research Group, NUI Galway) facilitated a highly engaging session on fidelity and process evaluation of complex interventions. Prof Molly Byrne provided an overview of reporting guidelines for complex interventions, specifically CONSORT-SPI. 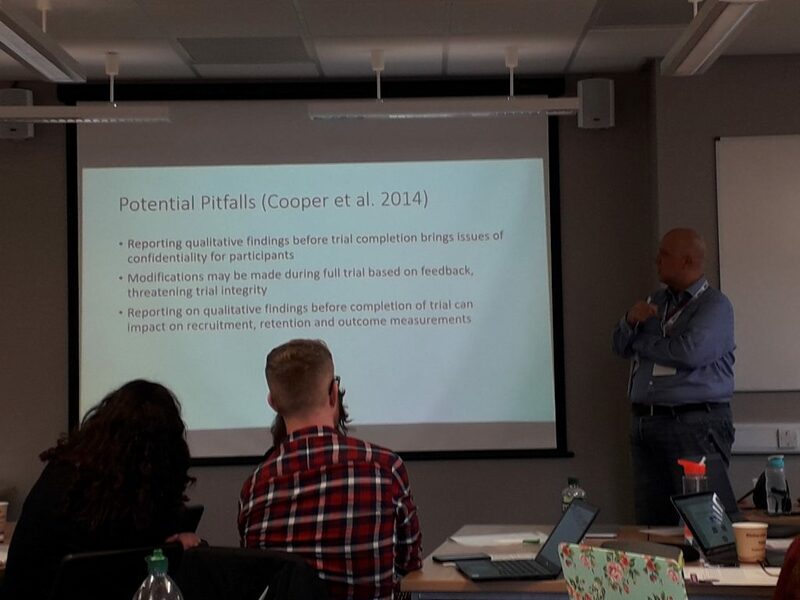 Dr Gerry Molloy and Dr Chris Noone (School of Psychology, NUI Galway) then introduced novel evidence synthesis methods for complex interventions, specifically focusing on network meta-analysis. The final workshop of the day was a highly interactive and lively session on patient and Public involvement (PPI) within complex and behaviour change interventions, and was facilitated by Ms Edel Murphy (PPI Ignite, NUI Galway), Dr Bláthín Casey (D1 Now Programme Manager, Health Behaviour Change Research Group), Dr Oonagh Meade (Health Behaviour Change Research Group, NUI Galway) with support from two members of the fantastic D1 Now Study Young Adult Panel: Cameron Keighron and Monica Mullins. The Winter School ended with a presentation followed by a panel discussion on priorities in behavioural trials research. Congratulations to the organisers, and a big thank-you all involved, for a thought-provoking two days.